Vortex Crossfire Optics are tough, bright optics that provide long eye relief, a fast focus eyepiece, multi-coated lenses and resettable MOA turrets. 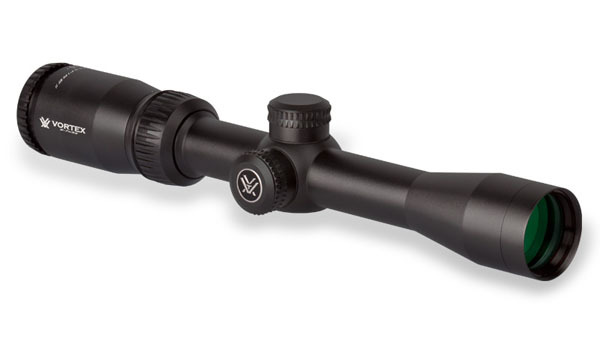 The Crossfire II 2-7X32mm Riflescope is constructed from a hard anodized aircraft grade aluminum tube that is nitrogen filled and O-ring sealed for added for waterproof/fogproof performance and features a Dead Hold Bullet Drop Compensating reticle for precise long range shooting. Lifetime Transferable Warranty!